This handmade jewelry box provides protection for your pieces when you’re on the go—and serves as a safer resting spot when you’re not. 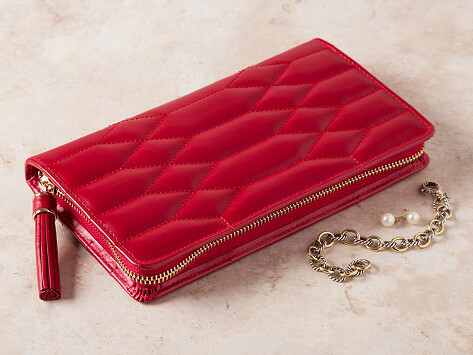 The flexible portfolio case is wrapped in quilted leather, and is lined inside with LusterLoc. 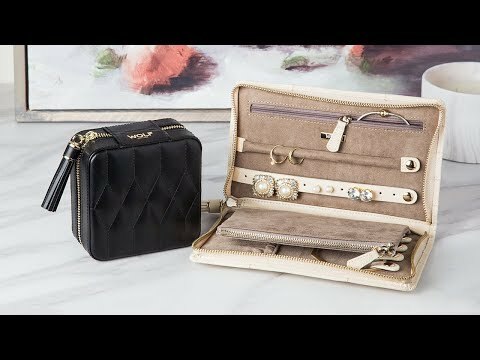 The unique treated suede helps prevent jewelry from tarnishing, which keeps your baubles looking perfectly polished. Dimensions: 8.5" x 5" x 1.25"
My wife loves to take her jewelry when we travel. She lived this innovative gift !! Gift for wife, she still uses plastic bags. I liked the idea. Beautiful construction. Well worth the cost.